Outlook Mobile is the official name for the native mail app in Windows Phone 7 and 8 series devices where all types of mail accounts are all stored and accessed from. Outlook Mobile has been an interesting area to explore from an email design/campaign point of view because of its different behaviours depending on key parameters. In this three part series, I document the foundations of the Windows Phone mail app and its different behaviours when used with different email account types on various Windows Phone OS versions. In order to discover why Outlook Mobile renders emails differently across different versions of Windows Phone, I developed a basic rendering test email template. This email contained every possible way of detecting various characteristics of Outlook Mobile when using different account types, ranging from IE conditional comments, CSS3 support tests and other feature detections methods. The reason I did this is to understand what the mail app is doing when rendering email in each different version of Windows Phone. An exhaustive list of everything I used to validate/test the content in this series about Outlook Mobile on Windows Phone 7 and 8. 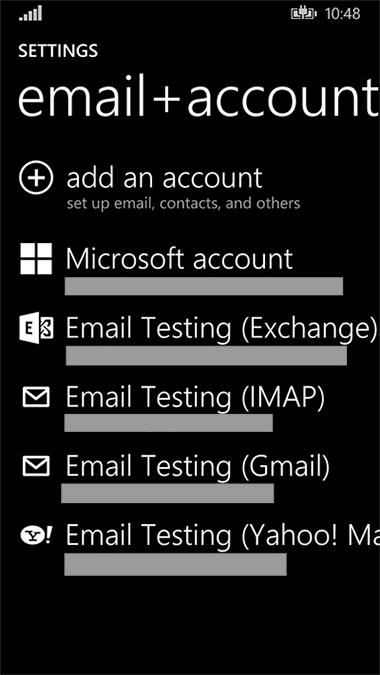 If you ever wanted to test emails for yourself on all versions of Windows Phone, this list should get you started on what you need. Lumia 800 for testing various WP7 versions on a real device by flashing different OS builds. 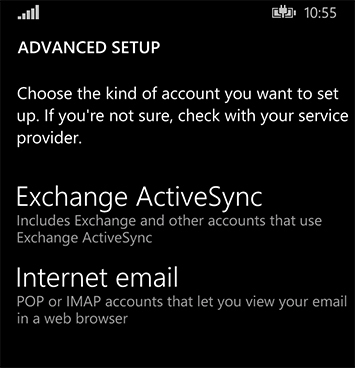 Advanced setup basically means you can configure any type of account within Outlook Mobile with the correct server settings, when configuring manually you can either sync with POP3/IMAP or Exchange ActiveSync (EAS). When using the pre-created account types, this part is chosen for you. In older versions of Windows Phone, some options for these pre-configured account setups services might not be directly available but in theory could still be setup through the Advanced Setup option with the correct server details. Seed the world, let them know its Torrent Time.